We’re back from our short little escape to Vancouver, and wanted to let you all know that the pics from the photobooth are now up online! Check them out by logging in here: http://321foto.com/login.htm. Select the Alexa & Ben album and enter the password: ABB522. 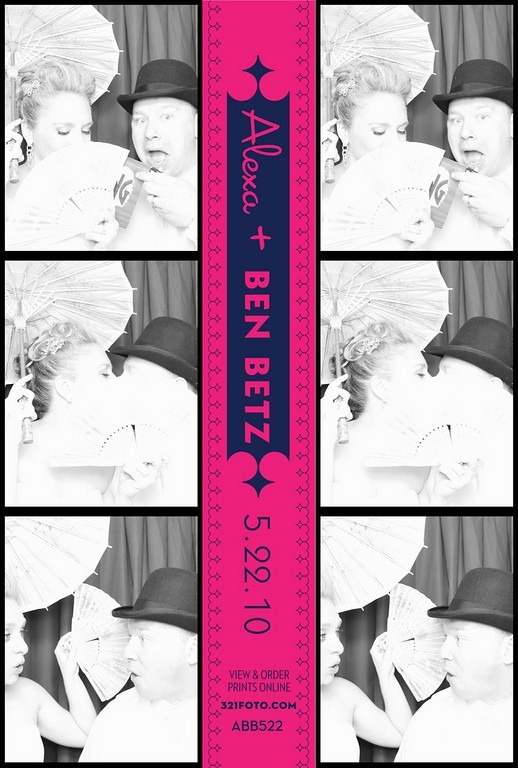 You all took soooo many great photos in the booth at the wedding – we were laughing hysterically going through the book of photostrips you all signed! BTW, if you were curious where we got the photobooth, it was brought by the amazing ladies of 321 Foto. We absolutely loved having them at our wedding! And we’d be remiss if we didn’t put one of our fave photo strips up from the evening. Sorry, it’s just of us two, but we thought it was crazy fun!